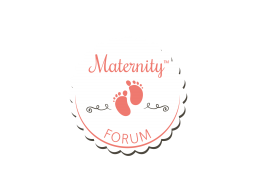 Discussion in '1st Trimester' started by JennyCannes, Nov 22, 2016. I have heard from a friend in Pennsylvania about doing Zumba specifically made for pregnant women. Do you think it's a good idea? I wonder if Zumba could provide good exercise for pregnant women. If you are already doing an exercise even before you got pregnant, you could continue your exercise and that's just fine. However, I think if you are just going to start on it, this is the worst time to do it. If the exercise is specifically custom made to fit pregnant women, then I do not see any problem with that, but again, it would depend on the type of pregnancy. I agree with @iamevallain, you can do the pregnancy zumba only if you have been doing it before. Since anyone starting a new exercise regimen finds it difficult at first, trying out zumba now that you're pregnant might give you unnecessary stress for you and your baby. It is a good exercise. But don't do so much jumping and squats or other moves that are too difficult or uncomfortable. There are also different stages of zumba, so find which stage you're fit to be in. But before you start any exercise routine, consult your OB first. And always, always listen to your body. I can't imagine loving Zumba so much you would want to do it pregnant But it's different for everyone. I can imagine how happy the baby is inside though, with all the extra rocking and the lively music. If you are a very fit woman even before pregnancy, starting Zumba at the beginners stage is good enough. Don't do it though if you're not a fitness enthusiast. I had friends who throughout their pregnancy even at 38+ weeks are exercising heavily, because their bodies are used to it. Ask for guidance from your OB always. I love belly dancing and have been doing it for a couple of months along with the hula hoop before I got pregnant. I still preferred to continue it until it hurt when my tummy is real big. Nothing bad happened to my baby, and I was even fit after the pregnancy so most of the ladies are correct with the assumption that if they are used to the exercise it's just fine. Keep listening to your body and I suggest you just stay with walking for a while until you give birth. +1 for askig your OB about joining Zumba. Though I also know a celebrity who did that when she was pregnant, it's best that you are cleared with any possible problems with pregnancy before enrolling. But it looks fun. Oh, maybe that is one of the reasons why pregnant women who do exercise like Zumba dancing get to their normal body right after giving birth, could it be one of the reasons? it could be one of the reasons. and maybe, you know, fit people really are just concerned about staying fit after pregnancy so they make it a priority. When I gave birth, I really didn't give a care about how my body looked. I was too frantic about taking care of the newborn. First baby, and all. Maybe next pregnancy, eh? I used to feel that way @Solange Diaz but seeing the celebrity moms and a lot of blogger moms posting their wonderfully fit post-pregnancy bodies makes me want to get back to my pre-pregnancy body as well! I am not that good, it just so happens that I have been part of the group for a certain time and it became part of my routine. It was fun and I must admit that I enjoyed it a lot. I don't have the time to do it now though. That's the kind of dance I envy people who are good at. I'm bad at dancing. But with belly dancing, even worse haha. It requires much grace and I do not possess grace at all. But I still love doing it anyway. When I give birth, I would try enrolling on one of those belly dancing classes. I stopped a long time ago! It was really fun while it lasted. I couldn't even remember how thin I was before! I am overweight now and I hate myself because I have not exactly went back into exercising after the birth of my youngest a year ago.